Cavus foot means to have a high foot arch which is apparent even when standing normally. It forces increased pressure onto both the ball of the foot and the heel and can occur on either one or both feet, at any age though it is rarely seen in the newborn, but can develop slowly in the first 10 years of life. Blamed hugely on disorders of the muscular skeletal system or of neurological background, cavus foot is commonly seen in those with spina bifida or cerebral palsy. It is very important to find out the underlying reason for the occurrence, as this will need treating at a matter of urgency in some cases. The most obvious sign of this condition is to observe an abnormally high arch of the foot. This can sometimes be accompanied by pain in the foot, ankle or lower leg.As the arch forces pressure to the ball of the foot, the heel can sometimes turn inwards, pushing the ankle area outwards. This positioning can cause a dragging or limping of the affected limb, often only noticeable to others observing the action. As the positioning and anatomy of the ankle becomes distorted, it is at risk of injury, and of sprains in particular.The position of the foot can cause hammer and claw toes due to the Altered action of the foot. These conditions have their own symptoms, but also both increase the risk of developing hard skin, corns and calluses, especially on the top of the toes or along the outer aspect of the foot. 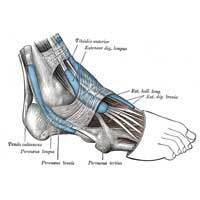 Due to the foot’s position, corns or other problems, pain and discomfort are likely to be experienced at some point. As the cause of this complaint can be of a serious nature, it is imperative that an accurate diagnosis of the underlying condition is made before safe and effective treatments can be sought. Most specialists agree that treatment should be conservative where possible. Reducing and eliminating hard skin can relieve some of the discomfort, and this can be achieved by using foot moisturisers, developed especially for the treatment of hard skin on the feet, and this may be coupled with the use of pumice stones or other dead skin removing devices. Calluses and corns may be cushioned using pads, and care should be taken when using medicated corn plasters, as the ingredient in these items can interfere with the efficacy of any existing medications. Arch supports or orthotic devices may be used to help support the high arch, adding to stability and increasing the person’s ability to balance more effectively. Sometimes, the use of a foot and ankle brace will help to stabilise the frame more and allow the person to walk without a limp or pain. In some instances, surgery may be discussed, with the two most likely procedures offered being either making a small incision to allow the surgeon to release or loosen the tissues permitting the arch to relax and drop slightly, or to reshape or refashion the bone, possibly with the use of a bone graft, aiming to increase stability, correct the deformity or to lessen symptoms. Cavus foot is a condition recognised as being an effect of either a muscular problem or a condition relating to the neurological system. It can vary in severity and affect the individual differently with varying degrees of problems. @sue - I am sorry to hear this. As suggested in the article, arch supports or orthotic devices may be used to help support the high arch, adding to stability and increasing the person’s ability to balance more effectively. Sometimes, the use of a foot and ankle brace will help to stabilise the frame more and allow the person to walk without a limp or pain. However, you would really need to visit your GP in order for him/her to suggest or prescribe something suitable for the pain.